Finally, a comprehensive look at all the GIS educational degree programs (doctorate, masters, bachelors, certificate and minor) for all universities and colleges throughout the United States. Search by degree level and find additional information for each school such as addresses, web site links, contacts and more! 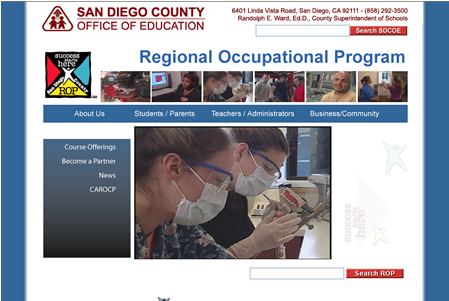 The San Diego County Regional Occupational Program (ROP) has been offering occupational training programs since 1969. It is the largest County ROP in the state of California offering over 265 tuition-free courses and serving 45,000 students per year who are at least 16 years of age through adult. Many courses articulated with area community colleges are offer high school and college credit and these courses are based on current and future labor market demands. Start exploring career options and be in demand by knowing about high growth jobs with better wages and a brighter future. In addition, notice that " geospatial technology" is one of the emerging industries! This website introduces three fields of Geospatial information, photogrammetry, remote sensing, and GIS. 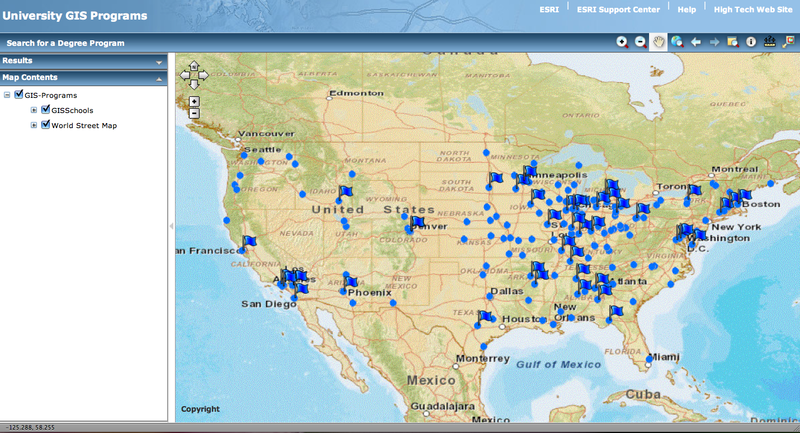 It also provides information about Geospatial information education and employment.